Trump’s visit appears to have left Shanahan, who many believe is the likely pick for the top job, hanging. But the bigger question, however, is whether Shanahan, a former Boeing executive, is up to the job. Shanahan was confirmed as deputy secretary of defense in July 2017 and became acting defense secretary at the start of the year, following the resignation of Secretary James Mattis. He has received mixed reviews so far, with some sources crediting him for his focus on efficiency, but others criticizing his management style and for being overly deferential to Trump. The former Boeing executive is “a guy that understands large organizations and how to make them function properly and get the most out of them,” said retired Army Lt. Gen. Guy Swan, a vice president at the Association of the U.S. Army. Swan described Shanahan as a man who could “make the trains run on time,” a phrase repeated verbatim by another person who spoke to Yahoo News. 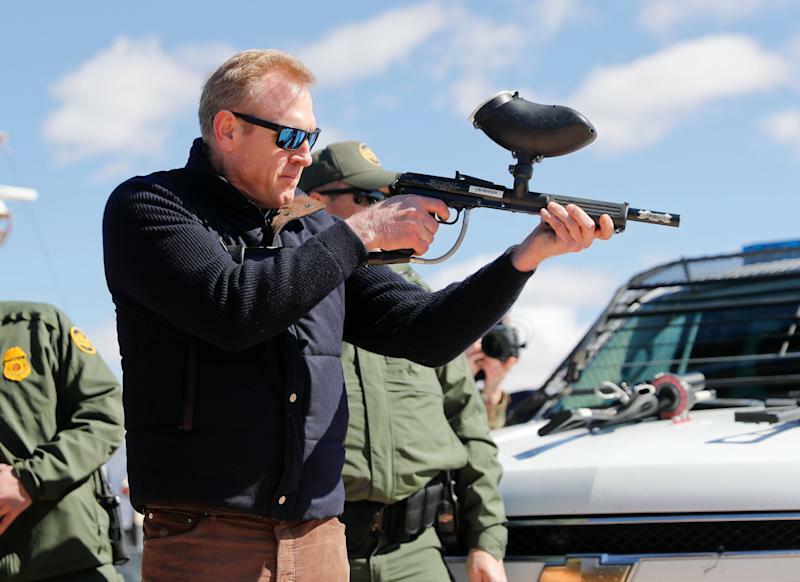 Although Shanahan’s industry experience was in aerospace, his support for Army modernization efforts has given him a strong base of support among the service’s leaders, according to Swan. “From the Army’s perspective, having him in that position [of defense secretary] is viewed as a very positive development,” Swan said. 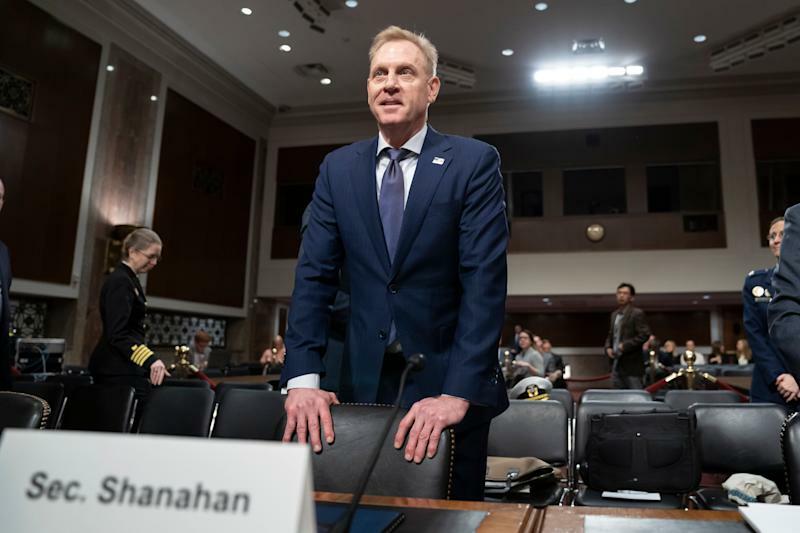 In particular, Shanahan has supported Army Chief of Staff Gen. Mark Milley’s modernization priorities and the establishment of the Army Futures Command, the service’s first new four-star command since 1973, Swan said. With Trump’s announced intention to nominate Milley to succeed Marine Gen. Joseph Dunford as the next chairman of the Joint Chiefs of Staff, that relationship will be crucial if the president nominates Shanahan to the defense secretary job permanently, Swan added. When Trump ruffled Air Force feathers with his plan to create a Space Force, against the wishes of most in the Pentagon, it was left to Shanahan to make it happen. This led to friction with Air Force Secretary Heather Wilson, who announced her resignation on March 8. 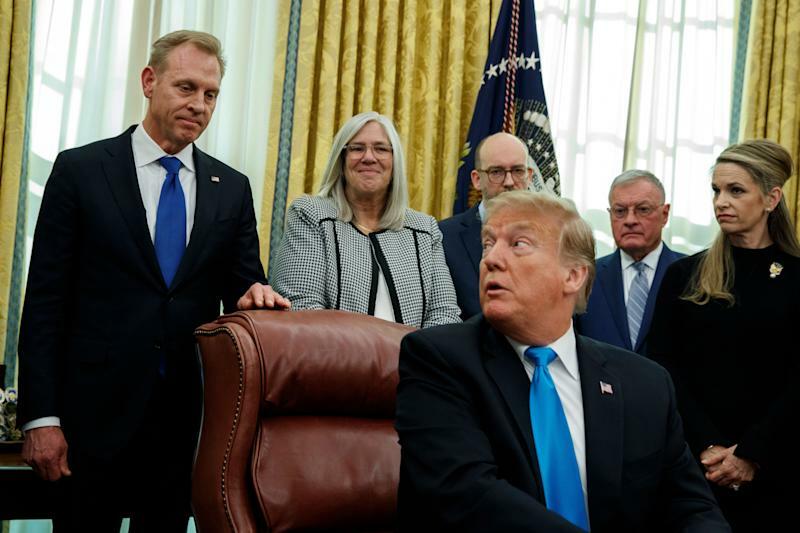 But a former senior Pentagon official said Shanahan’s handling of the Space Force issue exemplified one of his strengths: his ability to translate Trump’s diktats into “palatable” policy directives. It’s also possible that the president may leave him in place in an acting capacity, meaning that Pentagon bureaucrats might slow-roll any Shanahan initiatives they oppose, in an attempt to wait him out. Shanahan, even if he is nominated, will also have to overcome sound doubts on the Hill. Last week, he endured some tense exchanges with members of the Senate Armed Services Committee during a hearing on the 2020 defense budget. Democrat Tim Kaine of Virginia lambasted Shanahan for his department’s obfuscation regarding military construction projects threatened by Trump’s use of Pentagon money to fund a border wall. Shanahan also faced allegations that the Pentagon’s overseas contingency operations fund had become a “slush fund” to pay for things that had nothing to do with U.S. wars. Shanahan told the committee that later that day he would provide it with a list of the construction projects at risk. This incensed Kaine, who said that the committee staff had been asking for the list since mid-February, and Shanahan’s promise to deliver it later that day meant it would not arrive before the Senate’s early afternoon vote on Trump’s emergency declaration.